Last hot weather brew this weekend. 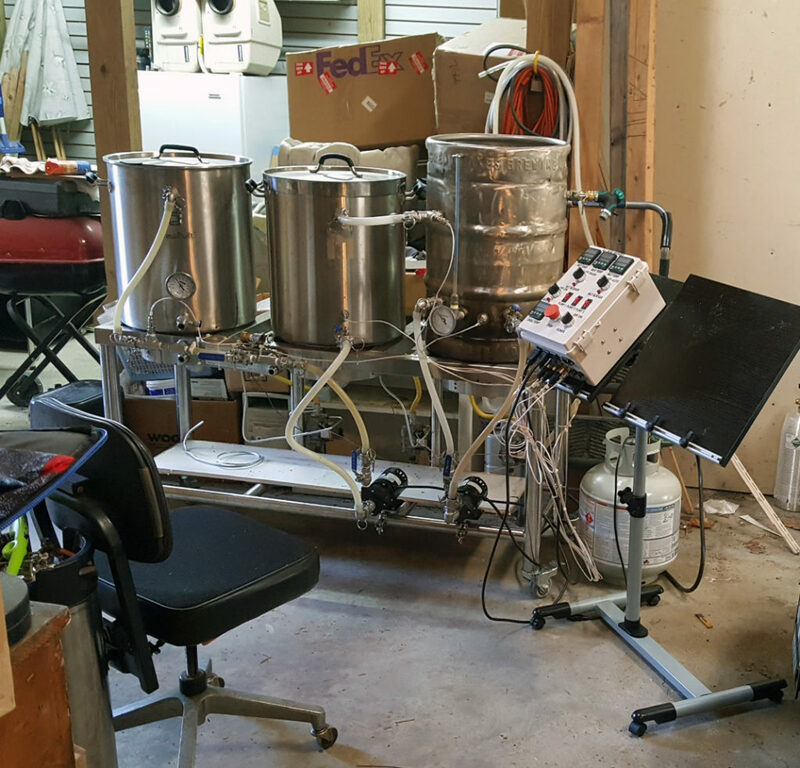 After several uncomfortable brew sessions on hot, sticky days I plan to be more careful about hot weather brewing in the future. It makes more sense to stay inside where it is air conditioned and brew on the Zymatic on such days. Nonetheless, this brew was scheduled a while ago and will go forward tomorrow despite predictions of 89 degrees and 80% humidity. The result will be 10 gallons of my galactic american pale ale plus lots of sweat. As shown in the photo above, I have mounted the controller onto its own wheeled platform. I can now move everything around in search of a cooler spot rather than being tethered to the previously wall-mounted control box. I will try to remember to take photos during the session; if I get anything good they will appear here.